I love "found sound" and I particularly liked the Soundtransit project because it takes found sounds, contextualises them and then packages them up for reference. Basically, you choose a "from" and a "to" location and it creates a found sound mp3 of your journey. I thought the Glasgow sounds were quite distinctive of ol' Sauchie herself. 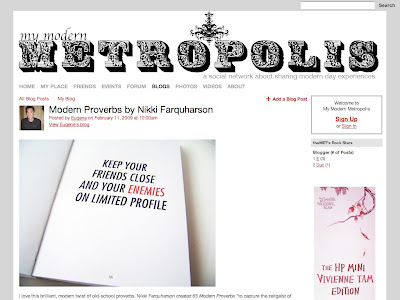 I thought Nikki's Modern Proverbs as shown in my modern metropolis were very funny and thoughtprovoking (as all good humour is). 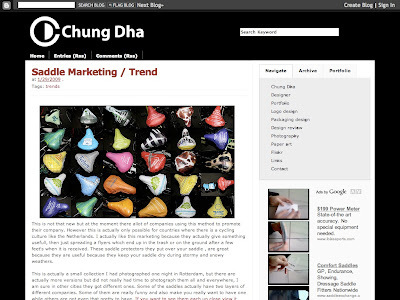 I thought this post from Chung Dha was interesting and an inpirational take on promo flyers. This is not that new but at the moment there allot of companies using this method to promote their company. However this is actually only possible for countries where there is a cycling culture like the Netherlands. I actually like this marketing because they actually give something usefull, then just spreading a flyers which end up in the trash or on the ground after a few feet's when it is received. These saddle protectors they put over your saddle , are great because they are useful because they keep your saddle dry during stormy and snowy weathers. It highlights the need to adapt to prevalent culture to be effective in promoting whatever it is you are promoting... and demonstrates potential longevity of promotional item if something useful/practical is created for distribution. Nice. I would love to go snowboarding... and Coolhunting's gear review for their recent trip to the Crested Butte mountain resort is pretty special. Thanks to swissmiss for the heads up to this fab post by Emily Chang on getting things done using Twitter. Its a must read for inhabitants of the Twitterverse. 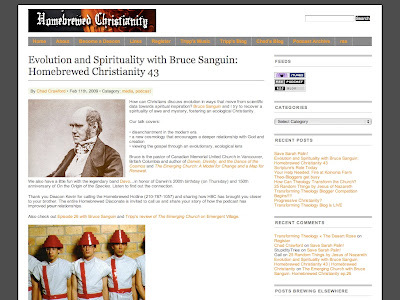 First off, we have the fab Homebrewed Christianity podcast who have remembered Darwin's birthday. Always challenging in the best possible ways. Nice one guys. So yeah... that's me. Enjoy. 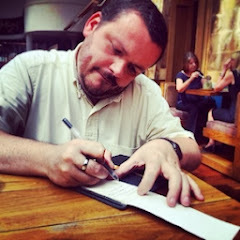 Check the posts out and check out the source blogs too for further inspiration. 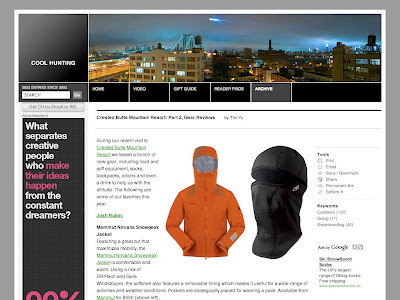 There are loads of places you can get cheap or second hand snow gear! Bets to give it a go before you spend that kind of cash though. get down to Xscape when you're better and gove it a go! 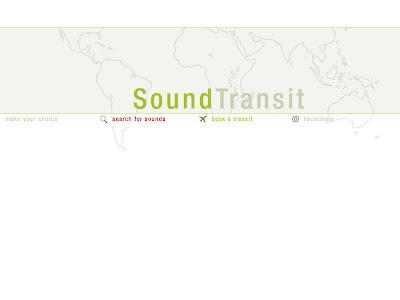 Soundtransit.nl is the best! I've used it for years. 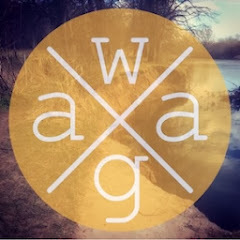 What a great source of field recordings. I love to go there and see what locations I can "visit".